Absolute highlight Timeless Watches ! The Year of the models! It's finally here , after the huge success of the current Excellent Collection Timeless sets now with the "Beast Edition Series " after . 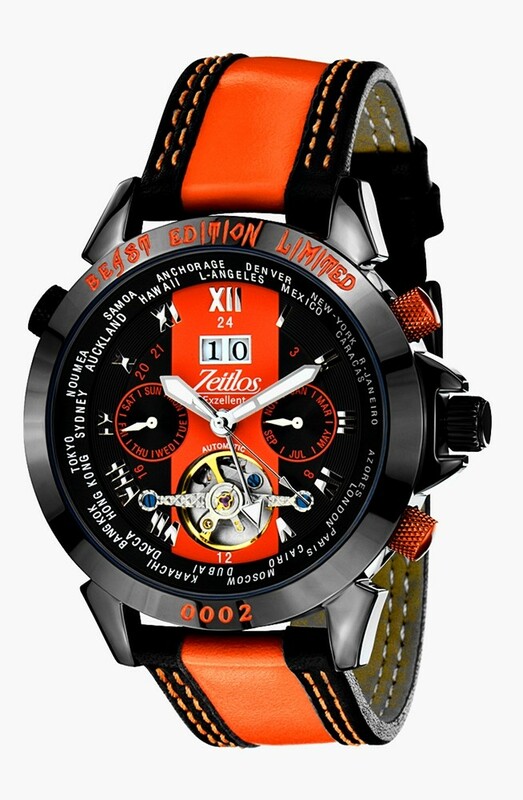 Unique design in orange and striking engravings and applications , which continue up to the race style leather strap with matching stitching. For the first time , this model is also presented with bestial engraving of the model name in the black package . For all fans of this clock is an absolute "must have" . 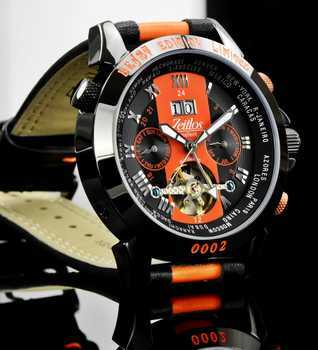 Europe Patented design ! 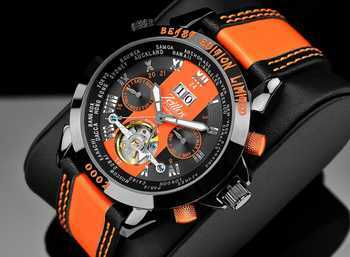 Reference ZL -EB -10 , original automatic GMT movement , PVD black , with open heart , calendars, each clock is Numbers with 24 months warranty. Each Timeless clock is delivered in an elegant watch box, with warranty card and instruction manual!